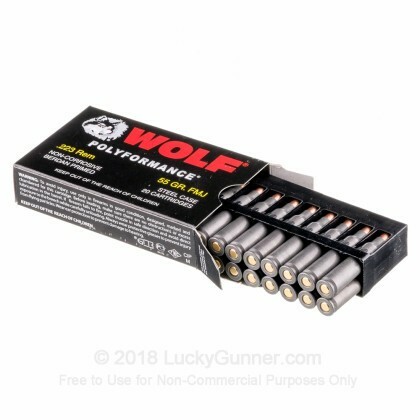 This rugged ammunition manufactured by Wolf WPA Polyformance is made in the heart of Russia. 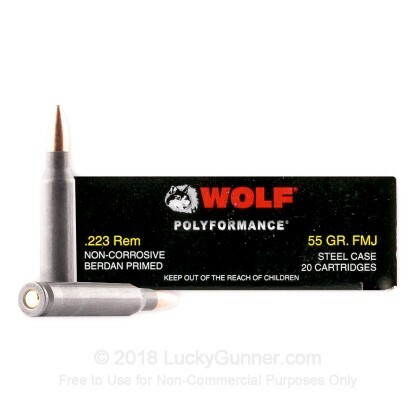 Each .223 Remington round utilizes a 55-grain Full Metal Jacket projectile which is great for range work and target practice. Little dirty, but functions well. Had 1 box of 20 that had several problems, but aside from that box I didn't have any issues. For what I paid I can't complain. 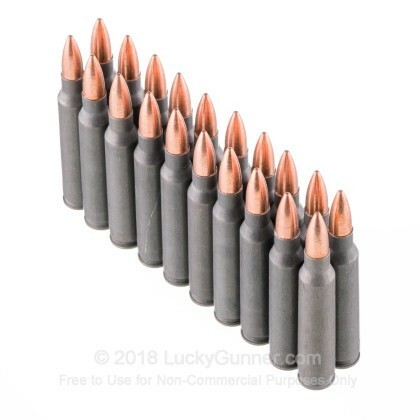 I bought 500 rds and does not always jack another round in the chamber on my ar. 35 percent of the time it works! ???? 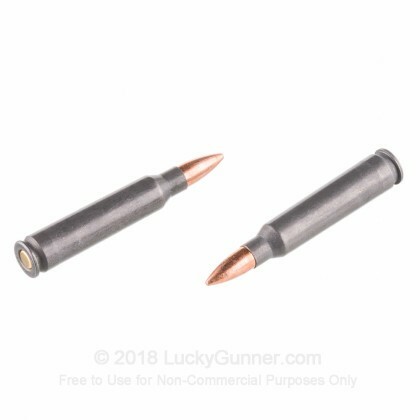 These are super rounds, fired from my AR-15, and as good as they come. Hoping things loosten up so we can get more at better prices, but these Remingtons are excellent and the price was very good. thanks Lucky Gunner! Now get me some 22LR's for my old Colt Woodsman. The ammo always goes bang. The shipping was so fast it was at my door in two days. 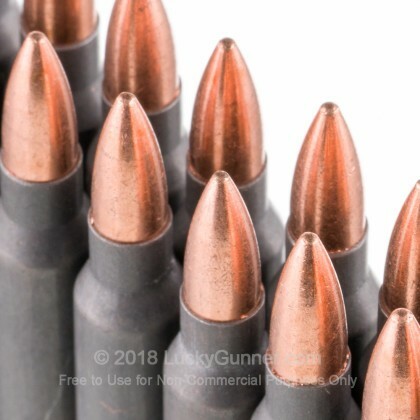 rounds at 100 yards are still tight. This stuff is a good value and I will be buying more! Q: How many boxes can i order at one time? A: Hi Brent! There is no limit on how many boxes you can order at one time. You can place an order for as many as you like. 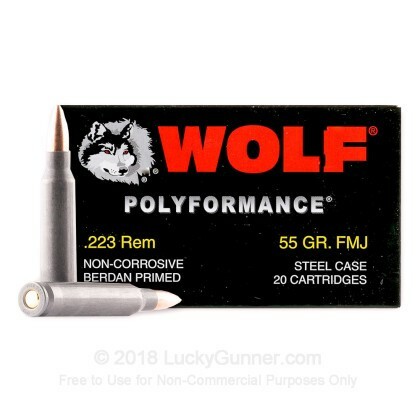 We also have this 223 Rem - 55 Grain FMJ - Wolf WPA Polyformance - 500 Rounds ammo in stock in a bigger quantity.